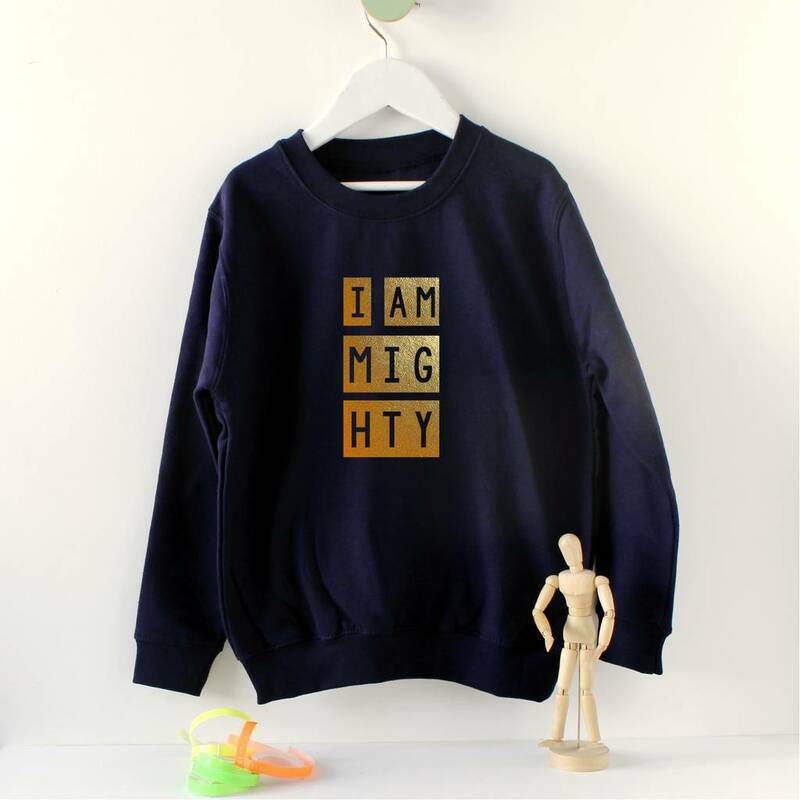 A very cool unisex kids sweatshirt with a mighty message on it to help give positive motivation for children. Great gift for teenagers as well! 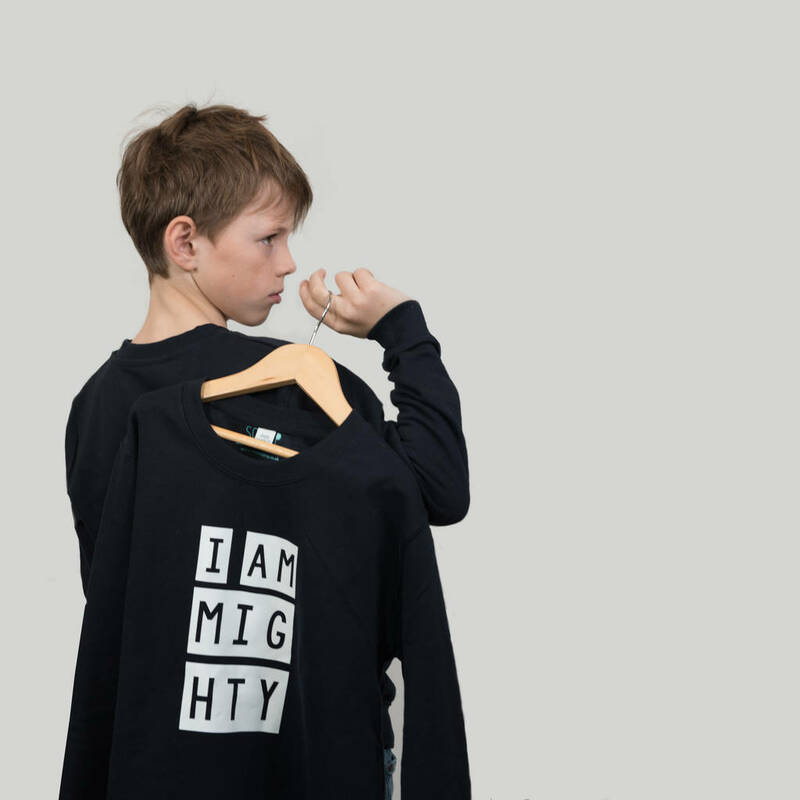 Bring out your inner might by giving this sweatshirt from Scamp. 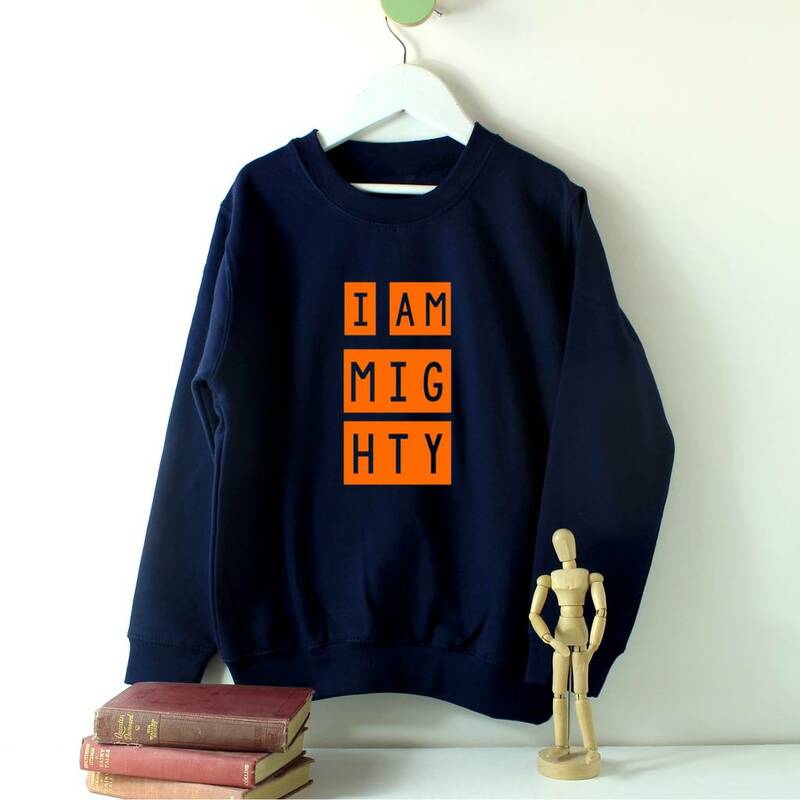 They come in a french navy colour and feature this empowering message of self belief printed in gold or neons onto it. 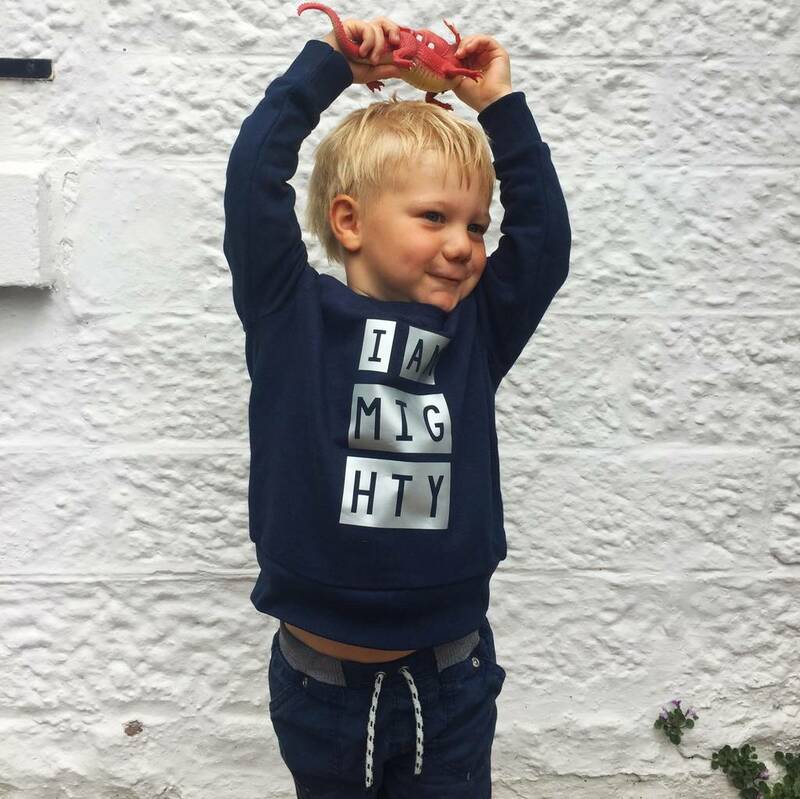 An excellent way to help your children feel like they are strong and have power! 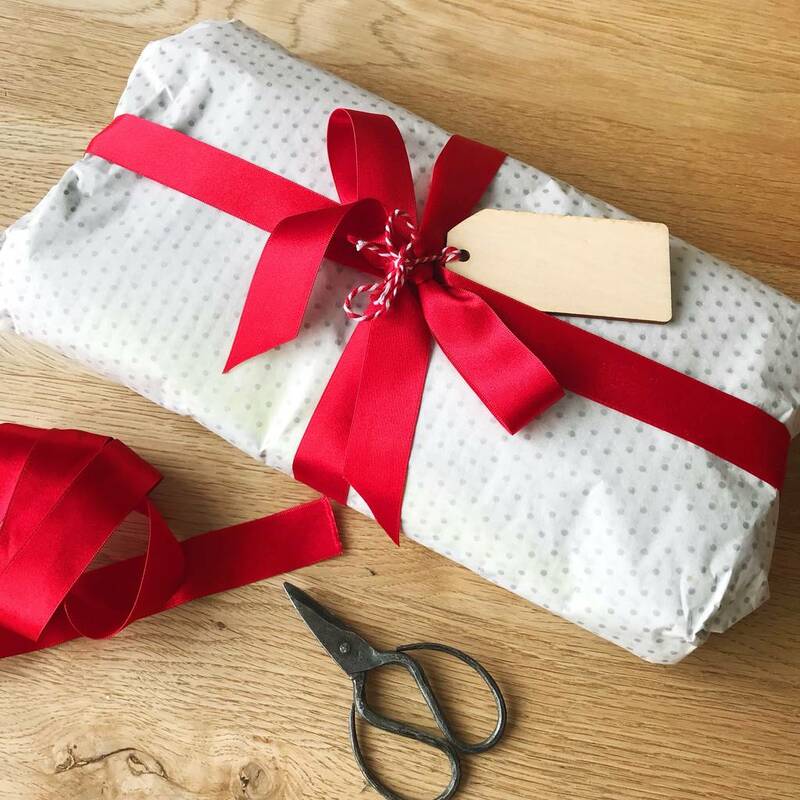 Your item will come neatly packaged to keep it in great condition but if this is for a gift, for an additional £3, we can wrap this up for you in white and silver dotty tissue with a lovely red satin ribbon and blank wooden gift tag for you to write your own message! 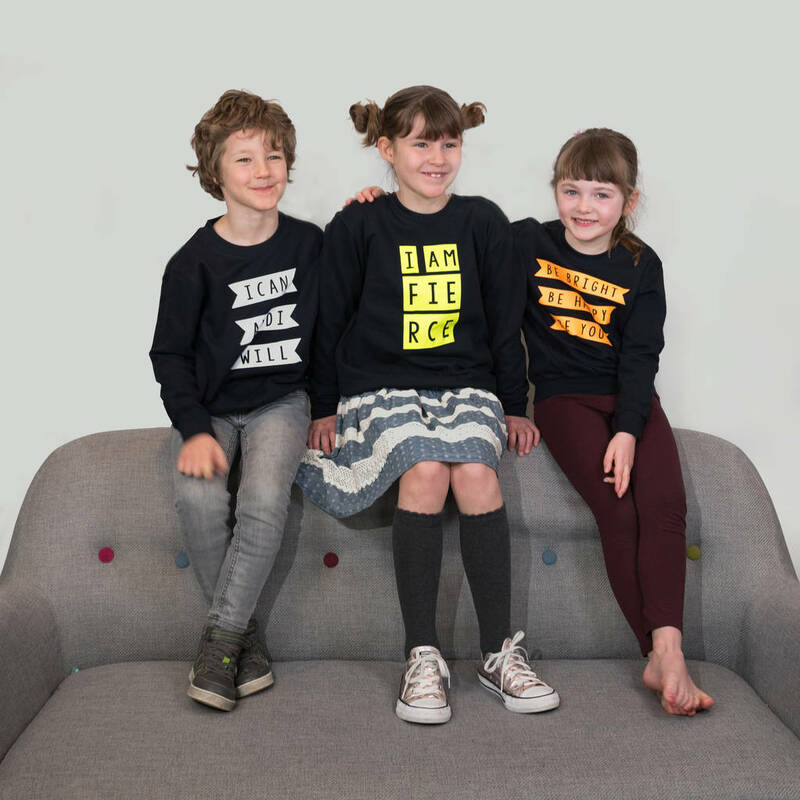 This product is dispatched to you by We Are Scamp.